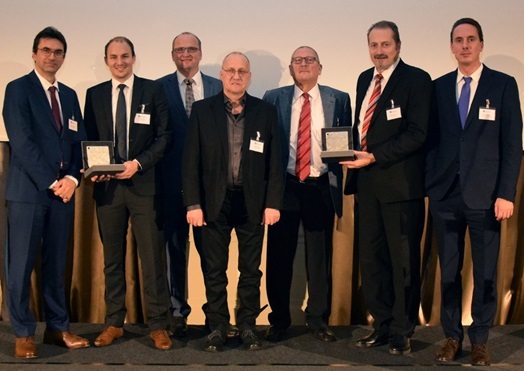 ZINKPOWER’s strong involvement in forging new paths when it comes to optimizing materials and processes became very apparent, when the Industrial Association for Hot-Dip Galvanizing awarded its innovation prizes. The prizes for “new hot-dip galvanizing applications and research achievements that provide for improved or new hot-dip galvanizing steel applications” were awarded for the eighths time in November 2018. ZINKPOWER contributed to both winning projects! 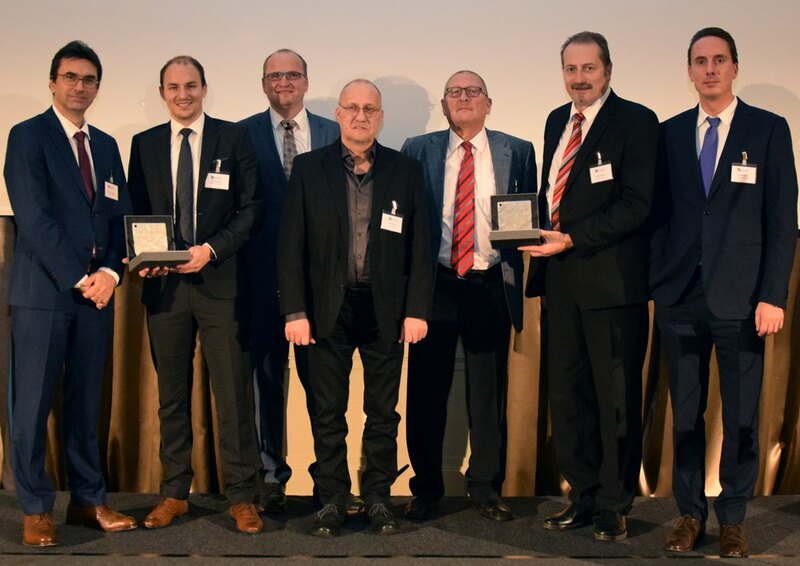 Prof. Dr. Martin Mensinger and Christian Gaigl from the Institute for Metal Engineering at the Technical University Munich received the first award for their work in the field of “fire resistance for hot-dip galvanized constructions”. In their research project they had proven successfully that corrosion protection by means of hot-dip galvanizing extends the fire resistance duration of steel. Under the direction of Thomas Verscht, ZINKPOWER Schörg galvanized the samples, and was thus directly involved in the project. This research project has a high degree of practical relevance for the industry, as the findings provide evidence of further advantages of steel constructions compared to concrete structures. Hot-dip galvanizing usually provides that steel components comply with the required fire resistance class R30, allowing for less complex and more cost-efficient construction work. ZINKPOWER was also directly involved in the second prize-winning project. The prize was awarded to innofixx equipment for its development of a “hot-dip galvanized load-bearing console with patented thermal isolation”. This type of console can be used as a supporting element for ventilated curtain façades. 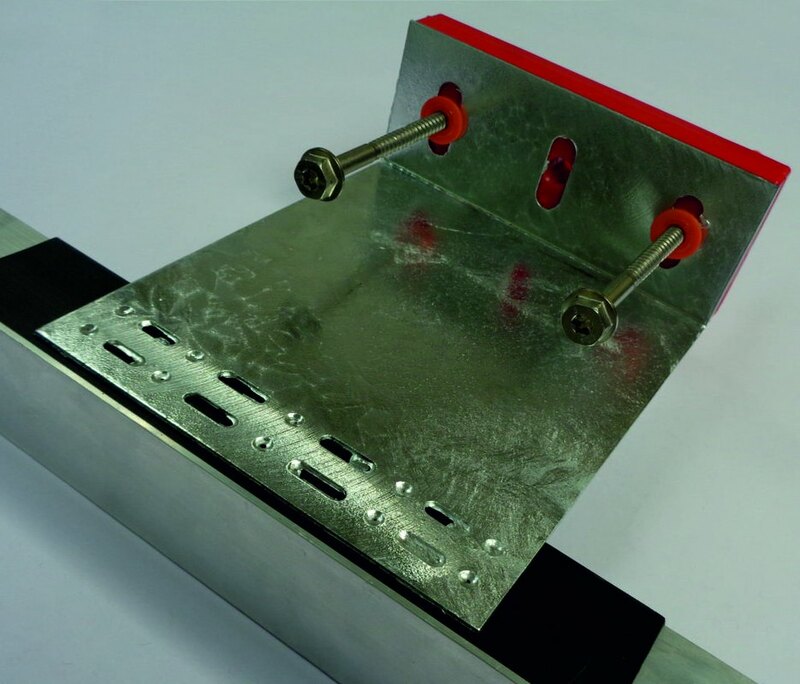 It comprises an extremely solid wall bracket made of hot-dip galvanized high-strength steel and a thermal isolation plate.